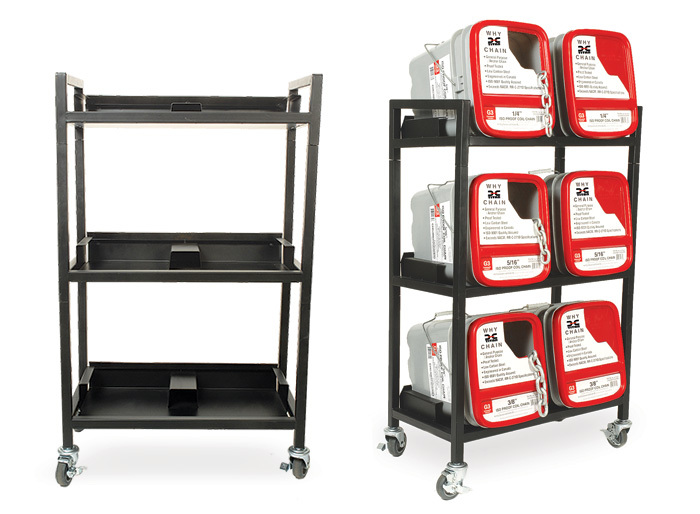 Our space-saving, chain merchandiser is built tough to hold over 660lbs (300kg) of chain within its small footprint. Each shelf is specially designed and custom fitted to lock pails into place to ensure stability and safety. Includes heavy-duty casters.